Making College Dreams a Reality for 118 Chicago-Area College Students. As an estimated 20 million college students across the nation start fall classes, the George M. Pullman Educational Foundation announces its commitment to investing $1 million in scholarships and education supports for the 98 renewing and 20 new 2017-2018 Pullman Scholar Cohort. Rooted in Chicago since 1950, the George M. Pullman Educational Foundation is a private operating foundation that has invested more than $33 million in Chicago-area students who aspire to earn a college degree. The Foundation helps change the trajectory of young peoples’ lives each year by providing merit-based, need-based scholarships of up to $10,000 per year, renewable for up to four years. Along with scholarships, the Foundation also offers scholars educational support and access to a wide network of more than 14,000 Pullman Scholar Alumni ready to help current scholars in their college journey and beyond. Approximately 700 young people applied to become Pullman Scholars this year. The highly competitive selection process requires applicants to have minimum 3.0 GPA and demonstrate strong leadership skills and community involvement. The 2017-2018 Pullman Scholar Cohort consists of 118 Pullman Scholars who are attending 54 different colleges across the nation, such as Howard University, Illinois University at Urbana-Champaign, Yale University, and Stanford University. 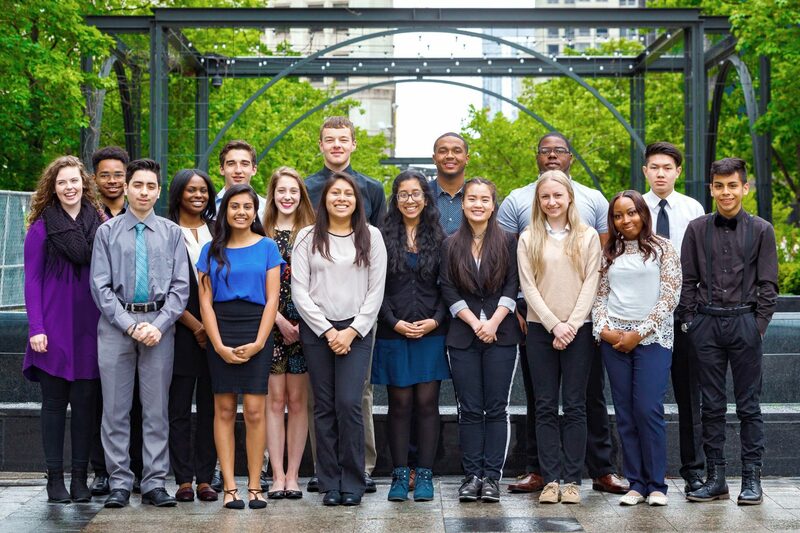 The 68th Class of Pullman Scholars were selected in May and are pursuing degrees at 17 different colleges in some of the most in-demand fields, including engineering, international policy, and medicine. The Foundation’s scholarship application opens in early November 2017 and will be available online until February 2018. Candidates interested in learning more about eligibility and the application process should visit www.pullmanfoundation.org/apply.